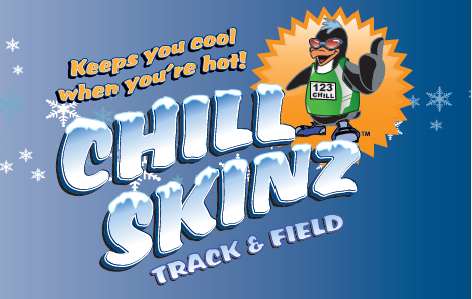 The outdoor track & field season is heating up and you can stay cool with Chill Skinz. Save 25% on your order using promo code “coacho” and stock up on chill towels and other cool products! Chill Skinz remain 16 to 22 degrees cooler than the outside temperature. Simply wet every few hours, wring out the excess water, and wave every 30 minutes to reactivate the cooling process. No refrigeration needed and they are washable & reusable! Products include large and small towels, headbands, beanies, and do-rags! Customization and bulk orders also available. Simply Wet, Wring & Wave! Contact us to learn how you can be featured in "Focus!"